Freedom is a conversation about being free. NYMetroKWASI Akyeampong added a discussion to the group Question of the week? Happy Easter? Dear Mr. Freedom Fighter, How Do I Free Myself From That Which Is Central To All My Values Beliefs? You should know that Kwasi Akyeampong is a Personal Performance Coach. 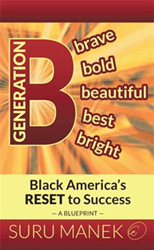 Being Generator - Making a Difference: Being used up for a mighty - being complete in the service of others. Being Generous in Causing and Inventing Power, Freedom, Full Self Expression, Self Determination and a World that Works for Each and Everyone. Boldly going where I have never gone before with Purpose, Grace and Ease. TheBlackList was born in June, 1993 - before the World Wide Web. We were theMarcusGarveyBBS. The name TheBlackList is a response to what I saw as a the tendancy among us to disregard those who do not embrace our point-of-view in total. It is a play upon word that points to how we murder each other with language. This is the key to the endurance of TheBlackList - we respect everyone's Point-of -the view. As moderator, I remove myself and my view from the conversation, thus, creating a safe space for others to speak. In this new forum - TheBlackList Pub - I as the barkeeper will speak and have others speak. This will be a forum for engaging in an uncommon conversation - and introspective conversation, a conversation given by self being a cell of the whole. We will engage in a open conversation with the world - educating the the world as we deucate us. This is an opportunity to be Africans while being in the world. Who do I have to be to lay with dogs and not get flees? This is what there is to discover. To delight in the opportunity to share with others and get to know who they really are. "Mr. President, on behalf of an ungrateful nation, thank you."